Step 2: Transfer butter mixture to the center of a large piece of waxed paper. Frugal cooks know that the season for fresh herbs is relatively brief. Once the very hottest days of summer arrive, delicate herbs begin to wilt and bolt, their best flavors gone for another year. Don’t worry, though – the flavors of early summer herbs are easy to preserve. Herb Compound Butter is the easiest, most reliable method for preserving herbs here at Crowded Earth Kitchen. Let’s get started! 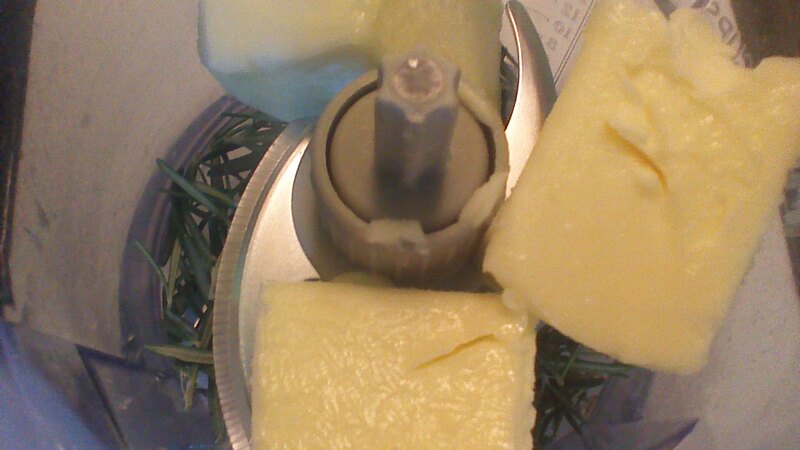 Step 3: Roll the waxed paper closed and refrigerate the compound butter until firm. Slice into small rounds for serving or cooking. 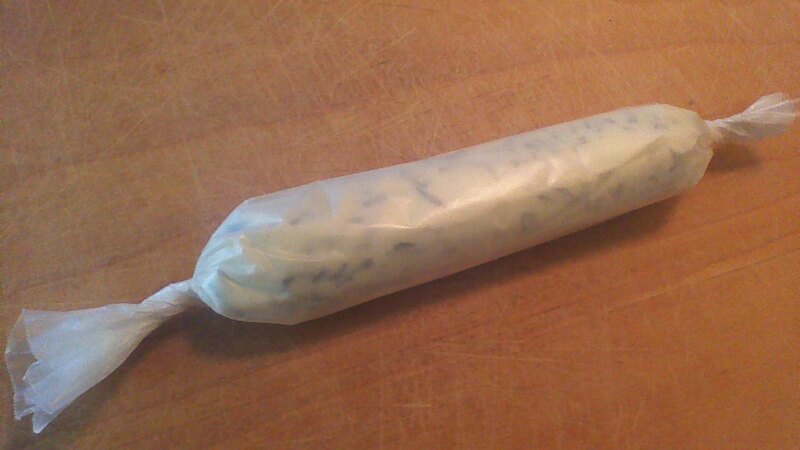 Freeze in a covered container until needed. Herbs don’t freeze well on their own – they discolor and lose flavor pretty quickly. 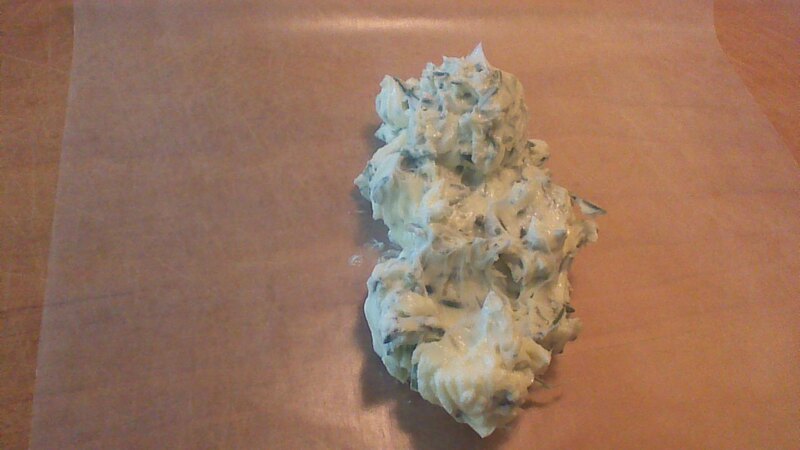 However, herbs blended into butter freeze magnificently! The butterfat protects the delicate herbs, preserving their color and flavor. Every cook knows that herbs and butter taste wonderful together, so why not combine them for preservation? That’s really all “compound butter” is – butter blended with one or more ingredients. So easy! What herbs should you use? Whatever herbs you like! 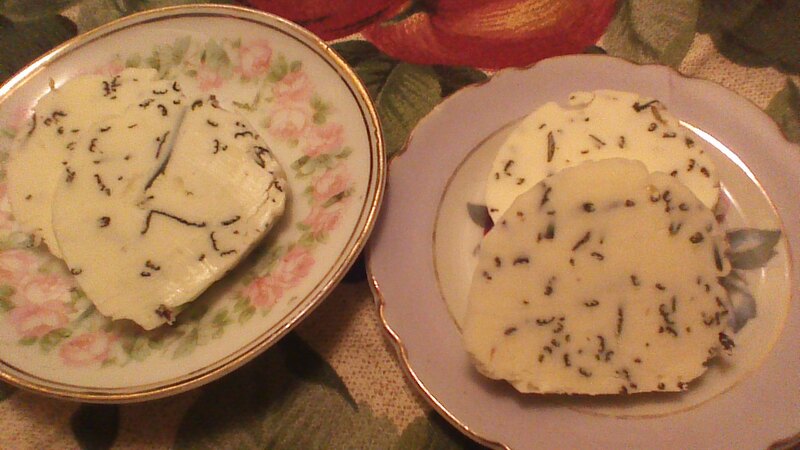 Fresh springs of rosemary blended with real butter are one of my favorite flavor combinations. You may find that parsley blended with butter suits your palate, or perhaps a combination of oregano and thyme is more your style. Experiment! Enjoy! This entry was posted in Canning and Preserving, Uncategorized and tagged Cooking, delicious, Food, frugal, Gardening, Green, Herbs, Homesteading, Preserving, Recipes, summer, yum. Bookmark the permalink.